FABRIC: Are Natural or Synthetic Fibers Better? We are often asked by our interior decorating clients and on-line customers about the differences between natural and synthetic fibers in home decorating fabrics. Are natural fiber fabrics, like cotton, linen, wool, and silk, always more expensive and high-maintenance than synthetic fabrics? Are synthetic fiber fabrics, like acrylic, nylon, and the newest microfibers, always stronger and more cost-effective? Is rayon a natural or synthetic? Does one resist wrinkles more than the other? We will attempt to answer the most frequently asked questions about natural and synthetic fibers used in home décor fabrics in this guide. If you have a question about natural versus synthetic fibers that is not answered here, or want additional information about these and other fibers, types of fabrics, and fabric treatments, please check our Upholstery Fabric Guide. If you still don't find an answer to your question, scroll down to the bottom of the page and send us a question. We will do our best to answer it. This lens features answers to the most Frequently Asked Questions we have encountered about types of fibers in home decorating fabrics. Hopefully this will dispel some myths about both types of fabrics. For additional information, see Benefits and Drawbacks of Natural vs Synthetic Fabrics. Q. What is the difference between 'natural' and 'synthetic' fabrics? A. Natural fabric refers to fabrics made from fibers found in nature. Natural fibers come from animal and vegetable sources. Synthetic fabric refers to fabric made from manufactured fibers and fibers created by scientists including some manufactured from natural materials like cellulose and wood pulp. Remember, though, that although natural fibers may be a renewable resource, those that are not certified as organic may have pesticide residues and may be processed or treated with chemicals during the manufacturing process and are not necessarily ecologically sound in that regard. Q. Which is better for home decorating, natural or synthetic fabrics? A. Both types of fabric have their advantages and disadvantages in home décor. Synthetics can be durable, easy-care, and fade-resistant, but that does not mean that natural fibers are weaker, less durable, prone to fading, and higher-maintenance. These characteristics often depend on more than the type of fiber being used. Durability, for instance, often depends on the weave and finish of a fabric. Cotton fabric can be delicate and sheer, like a batiste, or heavy and durable like a denim or tapestry. Unlike the synthetics of the 70s and 80s, today's manufactured fibers, especially the ones made in Europe, are often indistinguishable from the finest natural fibers in fabrics. Some fibers generally considered "synthetic," since they are manufactured, are actually made from renewable natural resources and, depending on manufacturing processess, can even be quite eco-friendly! Q. But aren't synthetic fabrics for home décor less expensive than natural drapery and upholstery fabrics? A. Not necessarily. Cost is not determined by fiber content alone. Some synthetics are very expensive and so are some natural fabrics, and vice versa. Other factors such as fabric design, quality of fiber, manufacturing processes, exclusivity and type of fabric contribute to the cost of a fabric. Q. Fiber. Fabric. It gets confusing? Is cotton or nylon a fabric or a fiber? A. The answer is both. I'm afraid that isn't much help, and at the risk of making things even more confusing, let me say that a FIBER is the material a FABRIC is made from. 100% Cotton fabric refers to any fabric made exclusively from cotton fibers. Cotton fabrics, like many others, come in different TYPES of fabrics, such as chintz , denim, damask , etc. But these types of fabric also come in other fibers, both natural and synthetic. Our Upholstery Fabric Guide provides more information that may be helpful to you. Q. Aren't synthetics easier to maintain? A. Not always. Acrylic and polyester fabrics, for example, are harder to clean than wool, and acrylic and other synthetics can pill. Stick to the manufacturer's instructions for the care of any fabric. If you want to wash a fabric and are not sure what the recommended cleaning method is, test wash a small piece first. Do not assume that just because a fabric contains, for example, cotton and polyester, that it is machine washable and dryable. There are other factors as well, such as type of fabric, type of dyes used, etc. And dry cleaning may use chemicals that are not safe for the environment or for people and pets. Dyes are another aspect to consider, as some chemical dyes are also not the best ecological and health savvy choice. Unfortunately, most manufacturers do not indicate the dyes used to color their fabrics or to render them stain and soil resistant, fire resistant etc. On the other hand, many manufacturers of home décor fabrics are adding more and more "green" fabrics to their interior decorating lines that are guaranteed to be made from renewable resources and processed in ecologically sound ways. Q. Don't synthetics eliminate problems with shrinkage and wrinkles? A. Again, it depends. Rayon, for example, can absorb humidity and shrink under hot, humid conditions (and it is not washable). Windows hung with rayon curtains will have shorter curtains in the hot, humid summer and the same curtains will hang longer in dryer, cooler winters. Some synthetics, like acetate, do resist wrinkles, but so do some fabrics made from natural fibers, like wool and silk. There is a vast difference among synthetic fibers, just as in the naturals. 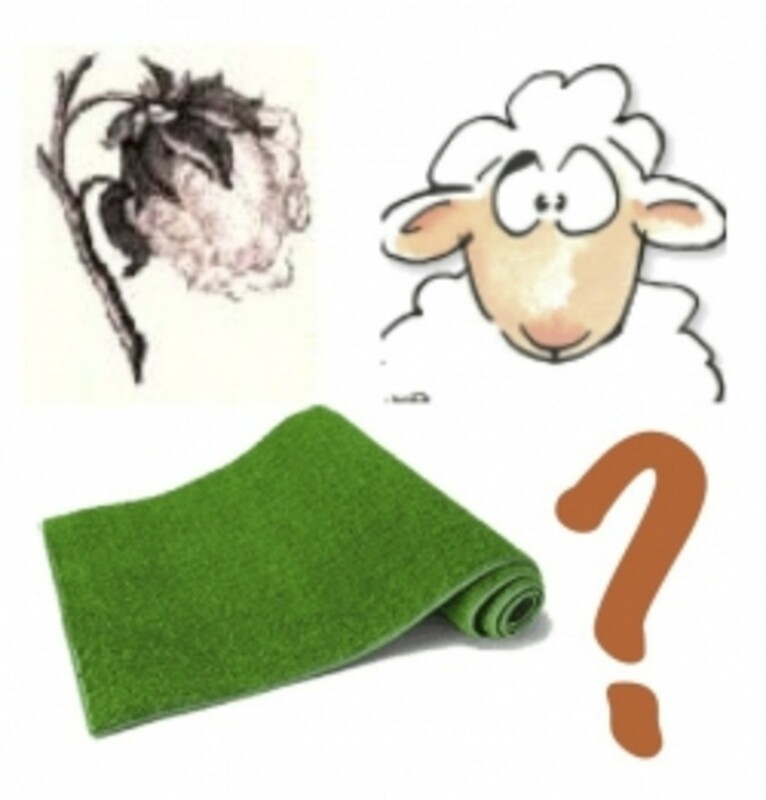 Wool is a very different fiber than silk. So, too, rayon is very different from acrylic and olefin. Q. So how do I choose? A. Our page, The Green Truth About Fabrics provides a more in-depth summary about the advantages and disadvantages of different fibers and their characteristics and may help. Sometimes you will decide in favor of the fabric that has the right look at for your home dcor regardless of other factors. Sometimes your primary concern will be how "green" a fabric is. Other times your primary concern may be cost or durability and practicality. And remember -- you do not always have to choose one type of fiber over another. For some applications, the "best" solution is a drapery or upholstery fabric that blends the best characteristics of one or more natural and/or synthetic fibers. For example, in upholstery fabrics, the breathability of natural fibers, or how well they allow air to circulate, enhances the comfort of the furniture. To add durability, one or more natural fibers are often blended with at least one synthetic, which, as you will see, does not necessarily mean it is not "green." If you choose wisely, you can have the best of both worlds. Until the turn of the twentieth century, the only fabrics available for home décor, clothing, utility, or any other purpose were made from natural fibres. If you are decorating in a period style of décor that pre-dates the early 1900s, you may want to stick to reproductions of historic fabrics in natural fibers for authenticity as well as eco-friendly reasons. 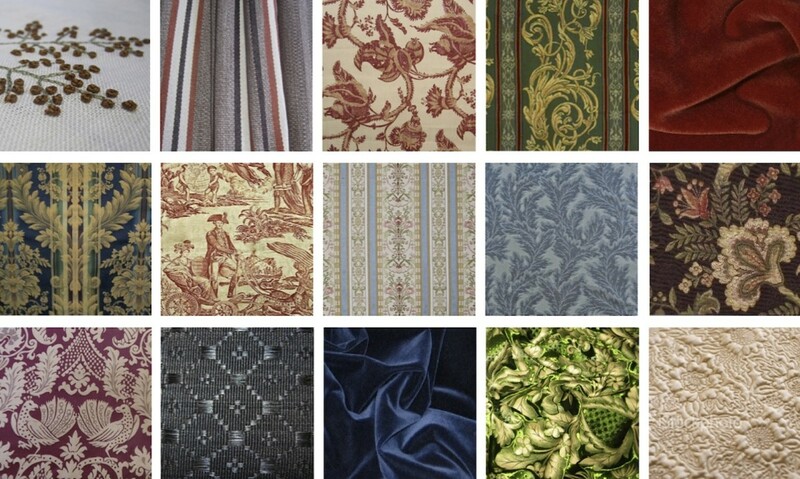 Fortunately, many reproduction historic fabrics are available from the top design houses. In addition to the continued production of fabrics in their own lines from earlier centuries, older interior decorating fabric manufacturers often custom reproduce fabrics for museum restorations from antique fabric remnants. You can also find natural fabrics in historically appropriate area rugs, usually in wool and often in colors from vegetable dyes that are the same as they would have been a century or two (or more) ago. In addition to wool, you can find woven rugs of cotton, sisal, hemp, linen and similar fabrics in styles ranging from flat weaves to braided ovals. If you are decorating a period home with historic fabrics or shopping for a trend-setting loft or eclectic apartment and choose to use a sythetic or blended home decorating fabric, you do not have to sacrifice authenticity and quality. These fabrics not only blend fibers; they blend traditional and historic designs and quality with contemporary technology and manufacturing. 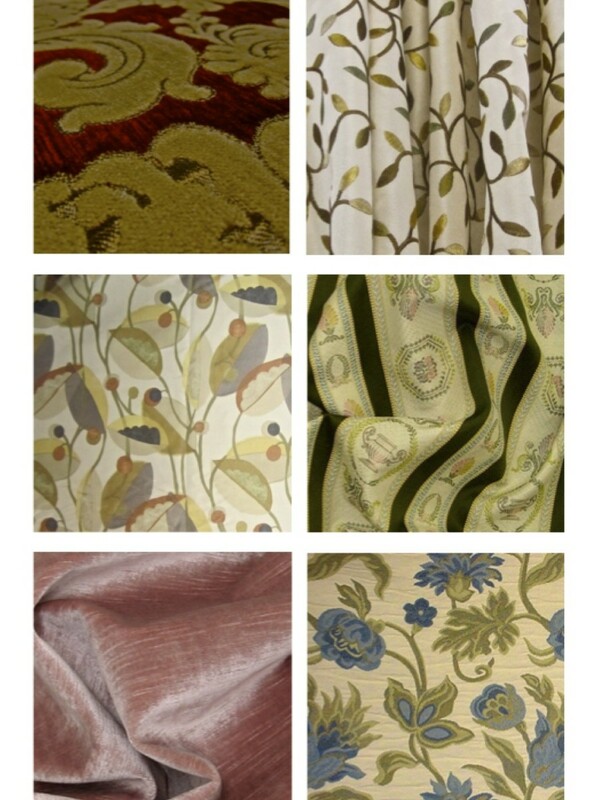 Fabrics shown here range from blends of natural and synthetic fiber velvets and damasks to faux silks. 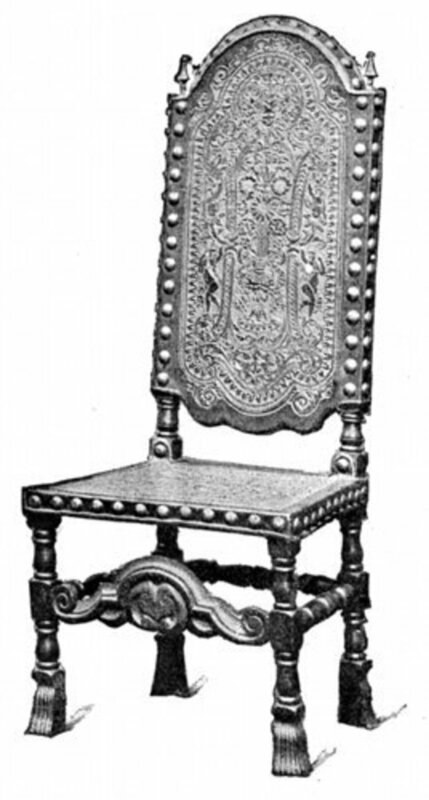 Designs are from the eighteenth through the mid-twentieth century. They include (left to right, top to bottom) a heavy velvety chenille victorian upholstery fabric, an arts and crafts style embroidered faux silk, a printed retro faux silk, a jacquard woven neoclassical stripe, a washed rose velvet, and a jacobean floral pocket weave. People do need to know the difference between natural and synthetic fabrics. It matters much. This lens was very educational. I now try to avoid cotton as much as possible (lots and lots of pesticides and water waste, even organic cotton requires a lot of water). 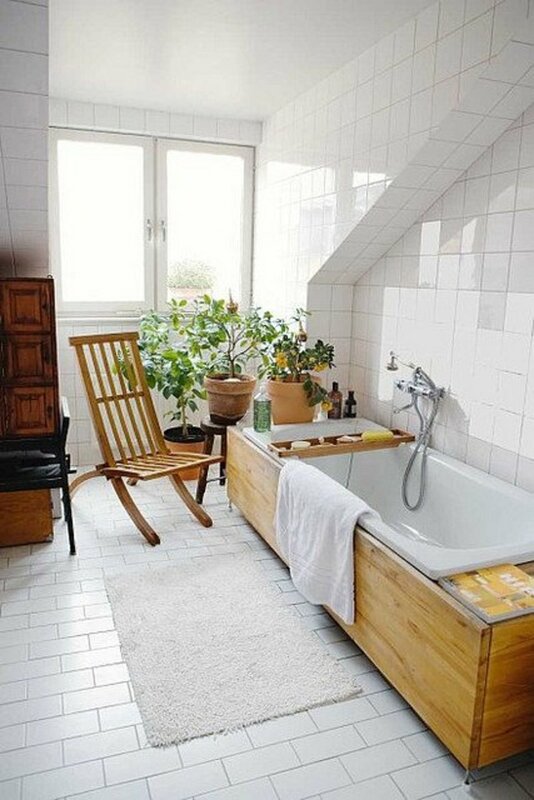 I love linen and bamboo, hemp and wool. Or vintage cotton (the damage is already done for these, and any chemicals in them have evaporated). What a great source of information for fabrics. Quite a great summery of choices and reasons for each. I am a bit caught up with natural fibres in clothing and home decorating. I might make the wrong choices sometimes because of that, but I can't see anything changing my ideas. Thank you for comprehensive information on the topic. I much prefer natural fabrics for upholstery, since synthetic fibers don't breathe. That makes them hot in the summer, and cold in the winter. Great lens. Blessings! @Beautyland: Thanks for your question. I struggle over using silk also for similar reasons that you raised in your question. I do have more info about silk and silk production on other pages that you might find useful. 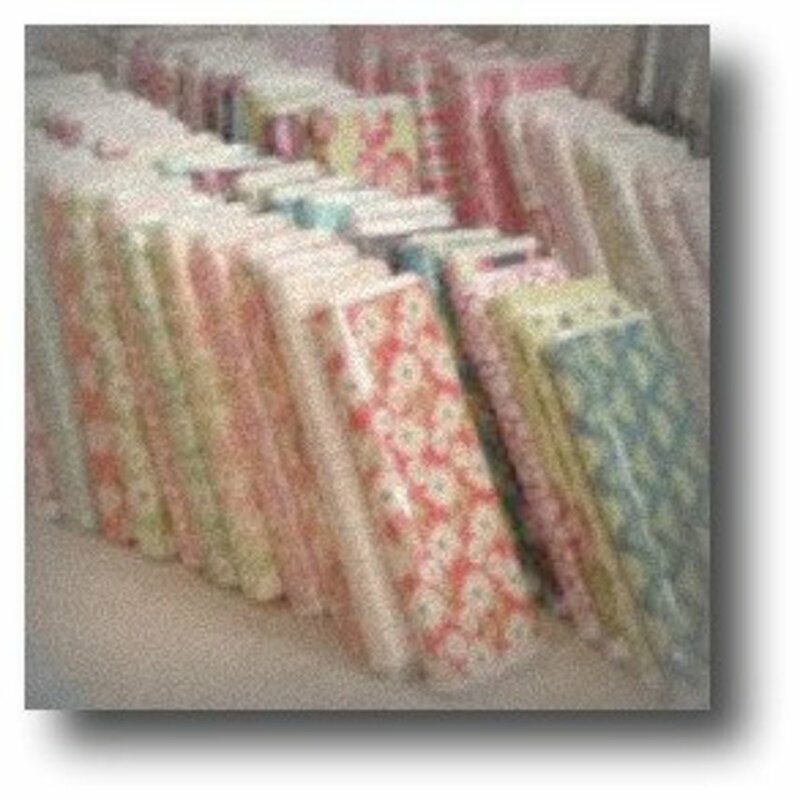 See https://hubpages.com/living/Truth-About-Fabrics and http://www.squidoo.com/restorationfabricsandtrims_... Hope that helps. Thank you for such a close reading of my pages and your thoughtful comments. I always prefer natural fibres. I have some moral doubts about silk,, on how it is produced, but I just love the feel of it and I totally disagree with the amisha silk when the silk larvae are allowed to transform in moths and live their short life. Maybe I'm wrong but that sounds like a potential ecological disaster to me (can they control so many moths?!) What do you think Chazz? Fabrics and fibers are my favorite media -- naturally the natural -- I can feel by touch synthetics. However, I know people that make no difference and feel comfortable with any fabric quality -- they consider more the visual and functional aspects of textiles. I also love fabrics. Wherever I travel in the world, I look for local ethnic fabrics. Great lens explaining the differences between natural and synthetic. I didn't know a lot of this stuff. I would need to read more of your articles to find out which home décor fabrics I like most, since all of those shown on this page, natural and synthetic ones alike, look absolutely fabulous. Chintz , denim, damask... I just love the words! Actually I have a love affair with many fabrics but love cotton best! Thanks for your interesting lens. We are big fans of natural and organic fabrics, go green! Though I prefer to wear natural fabric, synthetic is something that I use for curtains, bedsheets and table covers. Sometimes, a mix is also preferable. I like both but it was very nice to read through this lens , to be more informed. Thank you for the great share. I think you are right, horses for courses. Sometimes synthetics are best and other times natural is the best solution. Of course can depend on individual preference as well. @anonymous: Hi Laurena. Fraying has more to do with the type of fabric than the content. In the 1800s, wool, cotton, linen and silk (for special occasions) were the fibers used most often, with types of fabric ranging from plainer wovens to ornate brocades. 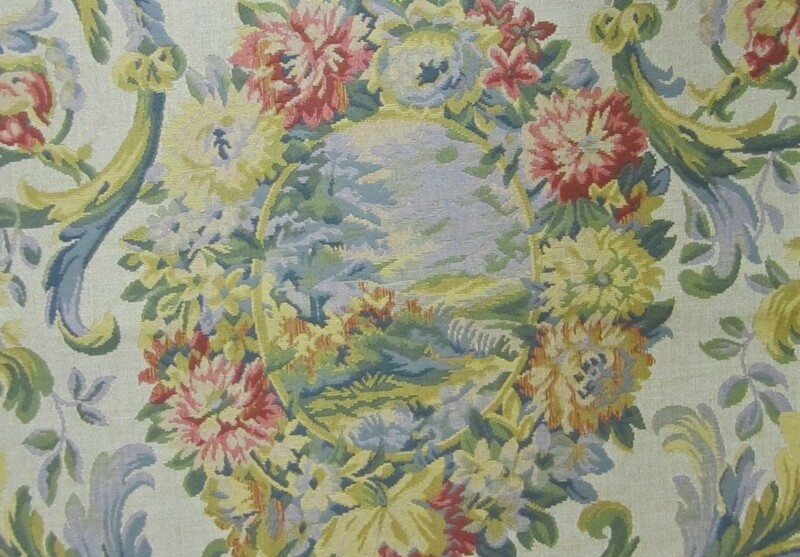 See our lens "Historic, Vintage &amp; Reproduction Home Decorating Fabrics " for more info about historic fabrics. If fraying is a concern, using french seams or covering seam edges with binding would be period appropriate ways of preventing frayed edges. Hope that helps. WHICH MATERIAL (FABRIC) FRAYS WORSE, SYNETHIC OR NON-SYNETHIC? 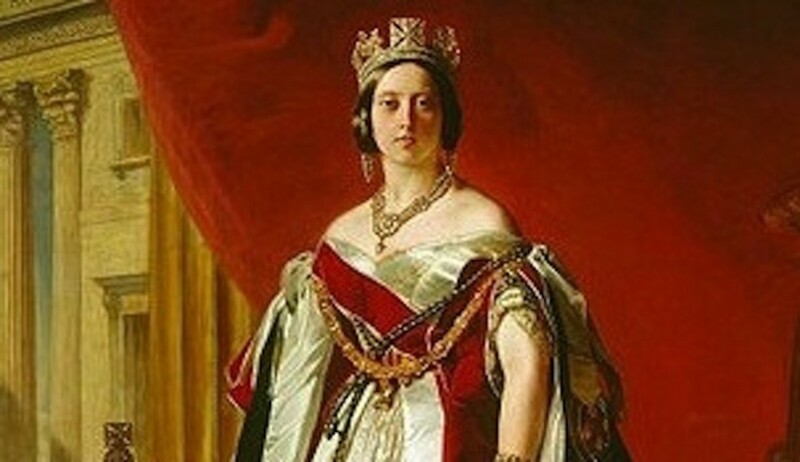 WHAT WERE FROCKS MADE OUT OF IN THE 1800'S? Natural is great but sometimes, it's better to use synthetic. I prefer synthetic fabrics because I find that most of them cause me less sensory problems- which allows me to focus better. I do prefer the look of natural fabrics though. I prefer natural fibers, but I think sometimes synthetic hold up a bit better. Being a textile researcher, I can say natural fibers are more comfortable than synthetics. But definitely you cannot avoid synthetic fibers totally since it plays a major role in clothing industry. Especially it forms a part in inner wear segments.. In India, girls wear synthetic costumes more than cotton...! sustainability is a big issue with fabrics. what do you think about hemp? Thanks, Jimmie. Links have been fixed. Check your links in the How do you choose section. Nice Q &amp; A lens! I used to be a total natural fabric person, but they are really coming out with some wonderful things now, especially fleece which is great for recycling. Decorating really isn't my thing. My ex was really good at it! But, I have learned that I am allergic to carbon tetrachloride which most cotton is processed with. So, for pillows and things I look for organic products...though the price is outrageous! Thanks for the helpful information. I now have a better understanding of the two different types of fibers. As you said, the same is true with other types of fibers--it isn't entirely a matter of the source material, it's also a matter of how the yarn is made. @ajgodinho: It is confusing and often a trade-off or question of your personal cost/benefits analysis. Glad this helped a bit. Thanks for taking the time to let us know. @billyaustindillon: Thank you. Glad you found it helpful. I learned some new things through this informational page. Nowadays there is such a wide choice that it becomes difficult to understand what fabric is the best. 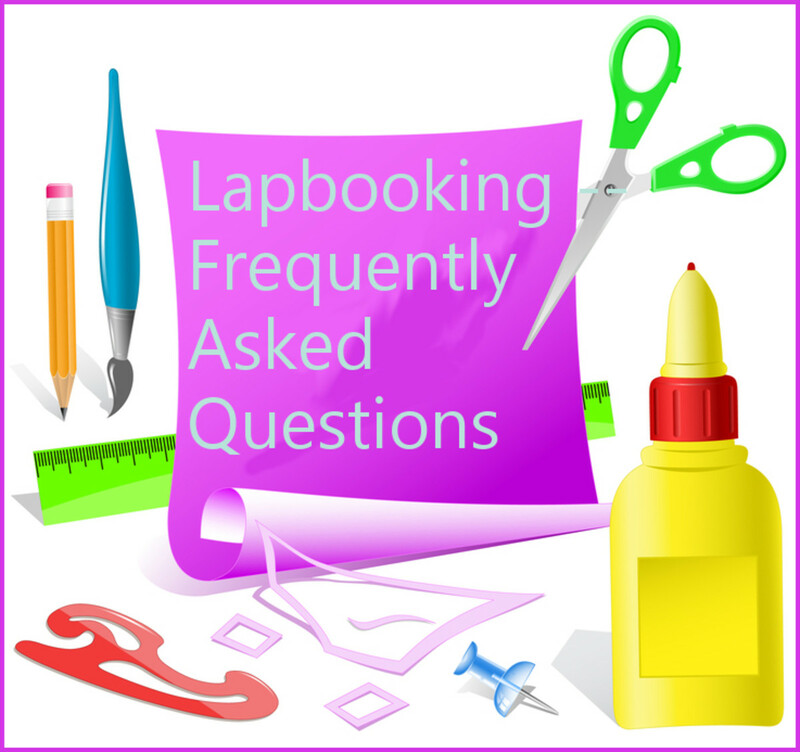 Very useful information - all my questions asked!